Directory of Inglis Reference material. A list of Original Source material relating to Inglises living in the Douglas area, Lanarkshire County of Scotland. Please let me know if you have researched any of the documents listed. A list of Inglises found on Gravestones in 14 churches in the Borders of Scotland. 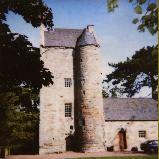 History of the Inglis of Mannor, Mannorhead, and Murdostoun and Hartwood, Lanarkshire, Scotland. Click here to view document. Not included yet! 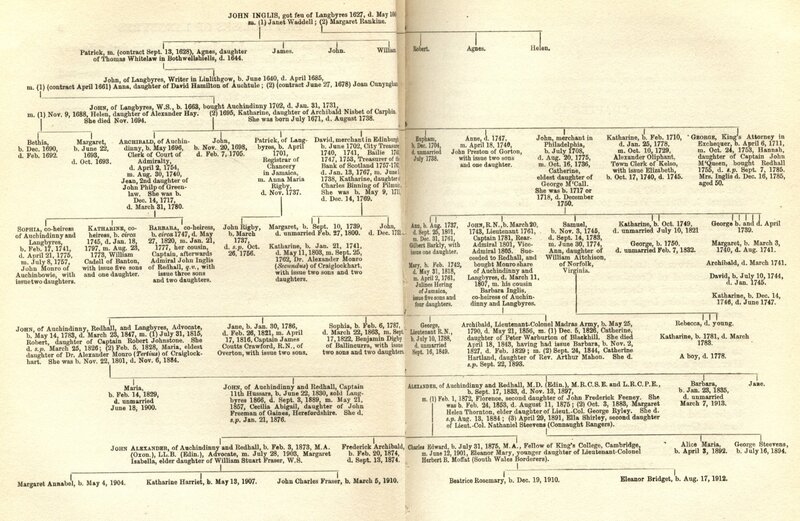 Click here to view family tree. Preface, Page 1-49, 50-99, 100-149, 150-199, 200 -240. 2 Rupert Edward Inglis's letters from the front. 3 Letters from General Lord Chelmsford to his brother-in-law Maj Gen Inglis during the Crimea. Including a description of the storming of the Redan at Sebastapol. History of the Inglis of Auchindinny and Redhall by John Alexander Inglis. (See Connections with other Inglis families.) Chapters not underlined have not been completed yet. Chapter 1 Inglises of Murdostoun, A good chapter on Early Inglis History. Chapter 19 The Lyles of Stanypeth and Bassendean. Bishop Charles Inglis and his Descendants Published in 1908. Bishop Charles Inglis on the American war of Independence. Bishop John Inglis report on State Schools in Nova Scotia 1827.